EDA BANSKO (PB3) organizes its Info Day, 28.07.2018, at Orphey Hotel, at the city of Bansko from 10:00 AM to 17:00 PM. 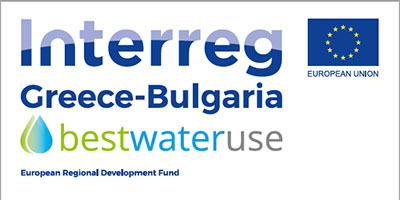 Project Best Water Use (acronym BEST-U) is implemented in partnership of Development Agency of Eastern Thessaloniki’s Local Authorities Anatoliki S.A. (Greece), Serres Development Agency Aneser S.A. (Greece), Economic Development Agency Bansko (Bulgaria), Association Eco Neurokop (Bulgaria) and Economic Development Agency High West Rodopi (Bulgaria). BEST-U project promotes the innovative technologies in order to improve the protection of the environment and the efficient use of water resources and soil protection. Enhance the knowledge and raise awareness of water users, in order to participate in environmental actions more efficiently. Develop educational processes which will promote the comprehensive, systemic and interdisciplinary approach to environmental issues and optimum water management in particular. In this regard, Economic development agency Bansko is pleased to announce that it is launching the awareness campaigns within the approved project. In accordance with project’s aims and communication plan, we are most grateful to invite you to an Information Day. Activities, aims, expected project results, contribution to all users, progress, strategic documents, tools for achieving goals and other useful information will be presented and discussed during the event. The Information day campaign will be held on 28 of July 2018 (Saturday) in biggest conference hall at Orphey Hotel, town of Bansko from 10:00 AM. Administrative address is 2A, Banyo Marinov str., 2770, Bansko, Bulgaria. Due to the limited number and capacity of the hall, please contact us for a preliminary reservation. The event’s agenda is attached to this letter. If you have any further questions, do not hesitate to contact us at the indicated telephone or e-mail.